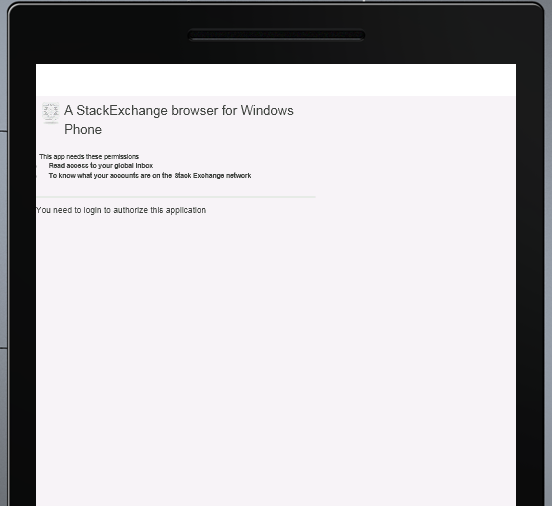 I'm making an app for Windows Phone using the Stack Exchange API but I'm having a bit of trouble when I try to let the user approve the application (using client side flow). 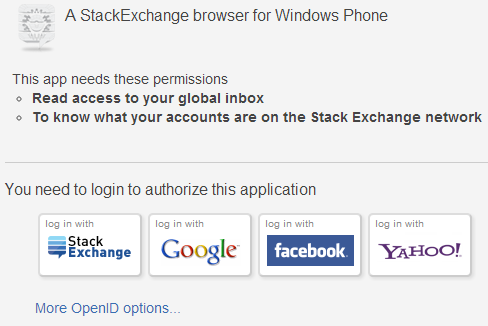 But on the phone I do not see the You need to login to authorize this application section. This is the same on the emulator and a physical device. Is this a bug? Am I missing something? Not the answer you're looking for? Browse other questions tagged bug stackauth authentication windows-phone-7 .